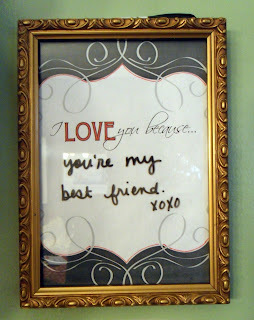 Anyone who's been on Pinterest has seen all of the "I love you because..." designs printed and framed. 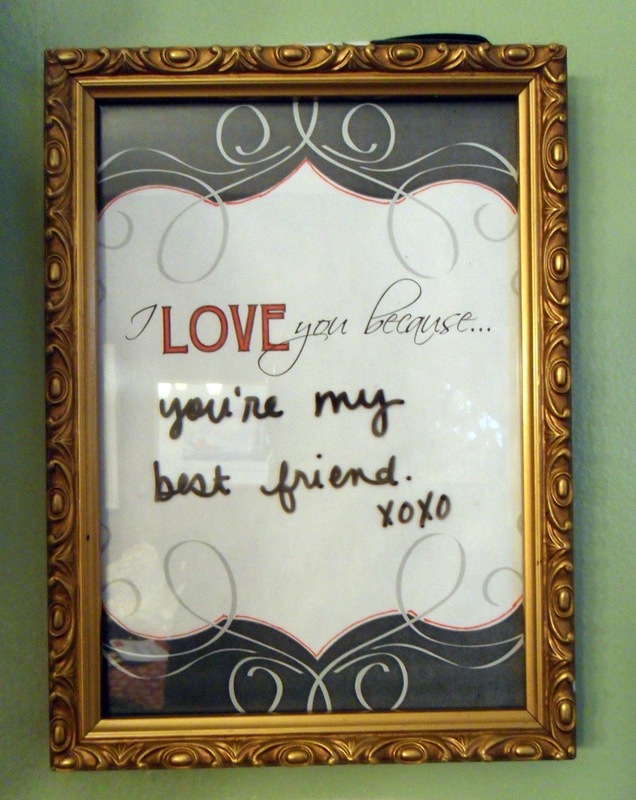 Then you use a dry erase marker to write notes to the people you love. I found this great one on The Dating Divas site. The include a link to a free printable, which I used. But since my color ink was out, I did a little simple coloring in with a red sharpie. We all leave random notes. I love when the Peanut and the Hubby leave sweet notes to each other since with his current work schedule, they only really get time together on the weekends. I hung it by the front door, and we just leave the marker on top. Maybe it's a little cheesy, but it's so easy to take each other for granted. This feels like such a simple way to take a second to remember why you love the people you love...especially on days they are making you nuts.